Overseas investors with links to the UK have been withdrawing cash at an unprecedented rate during the past year amid fears that the result of Thursday’s general election could prompt domestic instability. According to the latest figures from CrossBorder Capital, more than $360 billion has been withdrawn over the past 15 months, with large sums from Russian investors vanishing due to international sanctions. The rapid withdrawal of investment has triggered concern about the strength of the pound overseas. 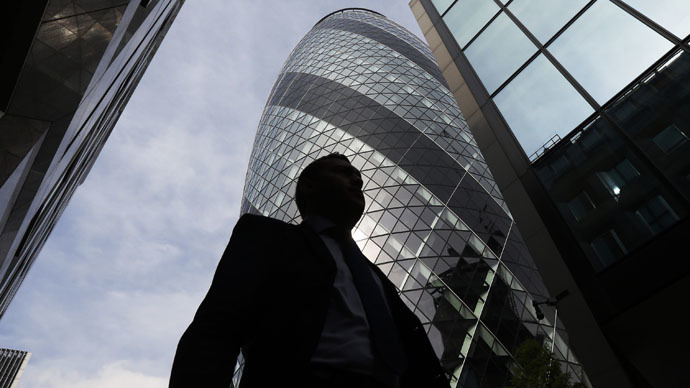 CrossBorder, an investment adviser group, suggested the drain on finances is unusual because the UK has previously been attractive to investors. The figures however do note a sustained sell-offs around the time of the 2005 and 2015 elections, but not, the group adds, on a similar scale. Mike Howell, chief executive of the group, said the data “certainly showed money leaving sterling … It’s either UK investors wanting to get into foreign assets, or foreign investors wanting to get out of the UK. I think the data does reflect uncertainty around the election. Howell added that the cash outflow is likely to put pressure on the pound if it continued. “The fact that you’ve already got this trend in capital outflows and a weak trade account makes the pound and the UK vulnerable,” Howell said. The UK is largely dependent on foreign investment to pay for its deficit, which hit a record of 5.5 percent of GDP in 2014. During the first three months of 2015 overseas investors withdrew $68 billion, and while the data does not show where the money is moving to and from, executives at the firm believe the three main driving forces are Russian and Ukrainian instability, the Scottish referendum and the fear of post-election uncertainty. Howell further said the resurgent US economy may be responsible for foreign investors wishing to move their funds. While London is well-known as a Russian investment hub, money from that country is believed to have begun leaving the UK after sanctions were imposed.